clean taste that you'll actually enjoy drinking. You Live. We Hydrate. 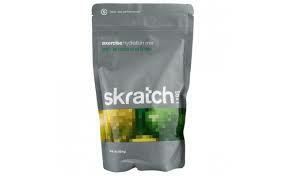 The high sodium content in Skratch Labs Hyper Hydration helps increase your body's reserve of water and sodium so you can perform at your best when conditions are at their worst. This is not suitable for a mellow one hour bike ride or run. It's for those all-day or all-out efforts that are so taxing, it's impossible to take in enough fluids to keep up with what you're sweating out. Eat like the pros. 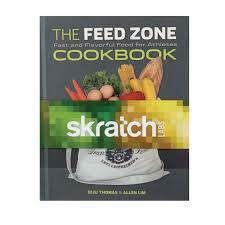 Feed Zone meals are the perfect balance of science and practice from Dr. Allen Lim and Chef Biju Thomas. A no-fuss guide to preparing good food that will change the way endurance athletes eat. With refreshingly simple ingredients that measure up to the demands of training and racing, Biju's recipes are easy to follow and big on flavor. His tantalizing mix of salty, sweet, and savory satisfies an athlete's cravings and prepares the body for top performance. 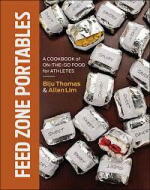 In their new cookbook Feed Zone Portables, Chef Biju and Dr. Lim offer 75 all-new and ALL PORTABLE food recipes for cyclists, runners, triathletes, mountain bikers, climbers, hikers, and backpackers. Each real food recipe is simple, delicious, easy to make—and ready to go on your next ride, run, climb, or hike.